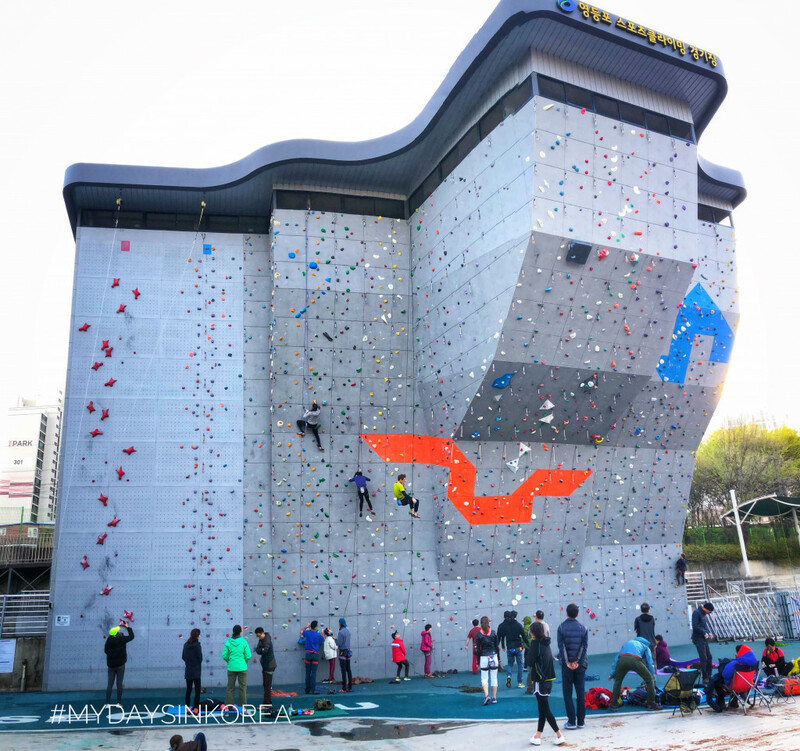 The very first reason is, because you can climb and have fun outdoor. Secondly, those artifical walls are usually located in a green park, which is easy to reach and open (for free) to the public. In order to climb, you need to bring your gears, but in most case, you don’t have to pay any usage fee. That’s another great thing about those walls. 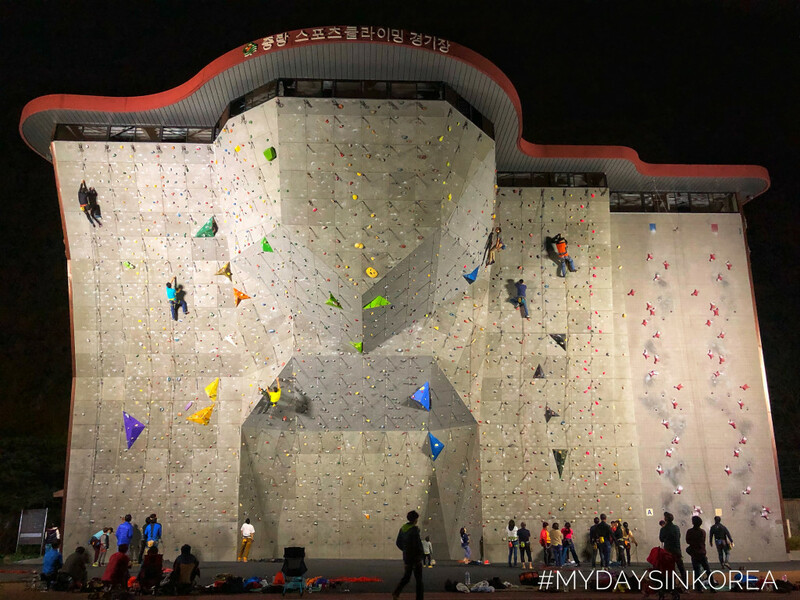 Forth, Korean rock climbers tend to take a lot of time when they go climbing. For them, it’s not only go there and climb. They come to meet their climbing friends, talk & chat, eat & drink, and climb hard. 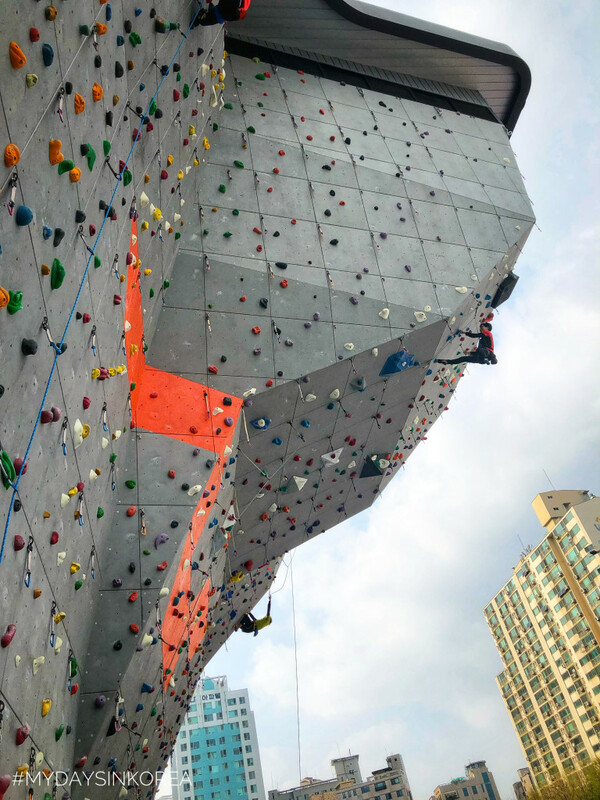 The point is, when you also go there for climbing, you will automatically have conversation with them and if you like, you can make new friends there. 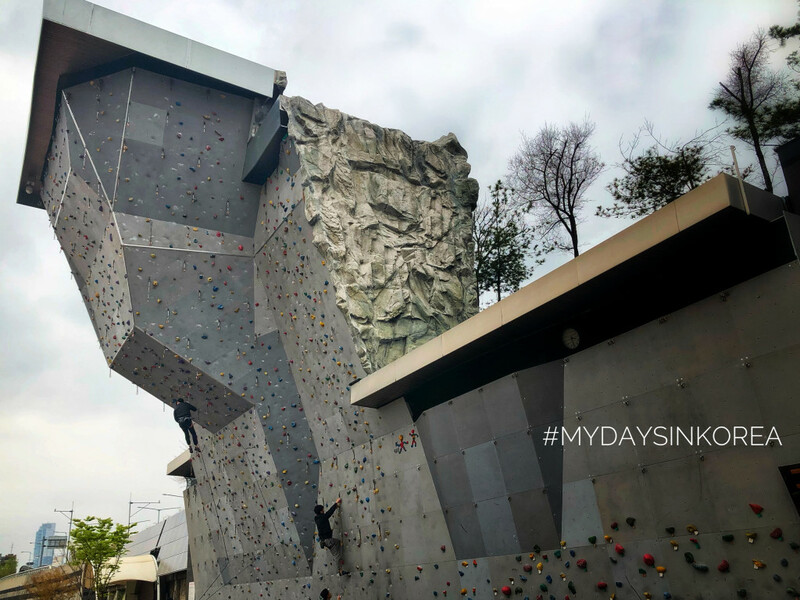 They can give you advices about rock climbing, where to go or even climb with you if you allow them. That’s a great experience. Where are the outdoor walls? Closest subway station: Yongmasan Station, Exit 2, turn left, follow the the main street to the next big crossing, then turn right. You should reach the park within 10 minute walk. 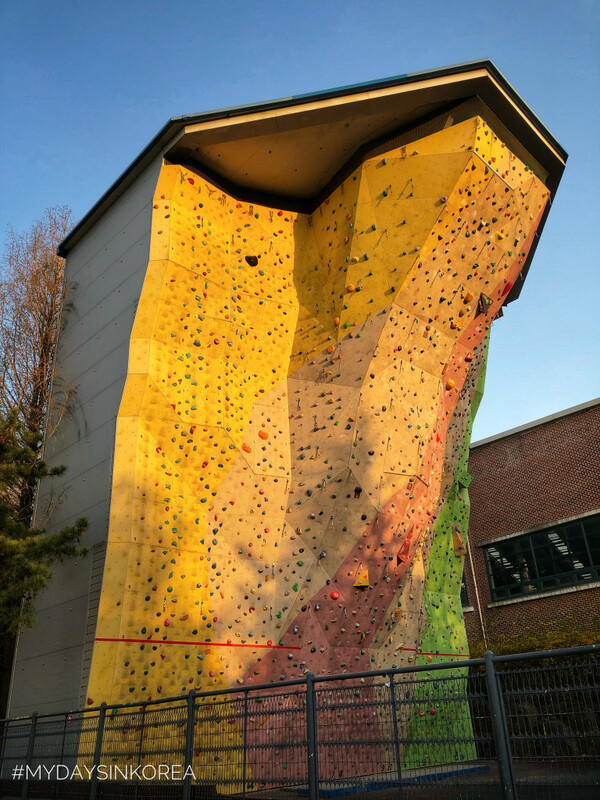 Features: lead & speed climbing, 15m wall, no information about route difficulty, but very nice settings. 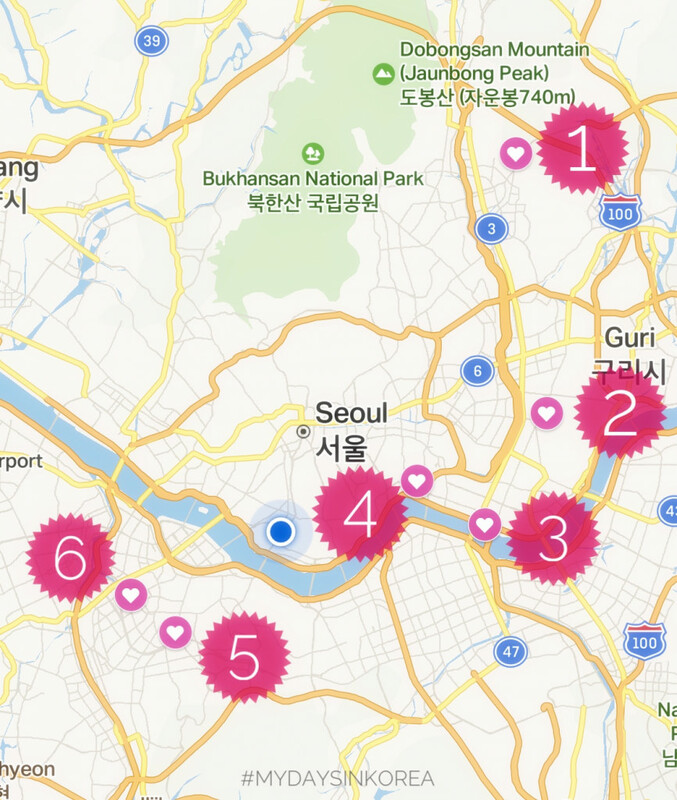 Closest subway station: Ttukseom Park Station, Exit 3, then turn right, walk along the Hanriver. 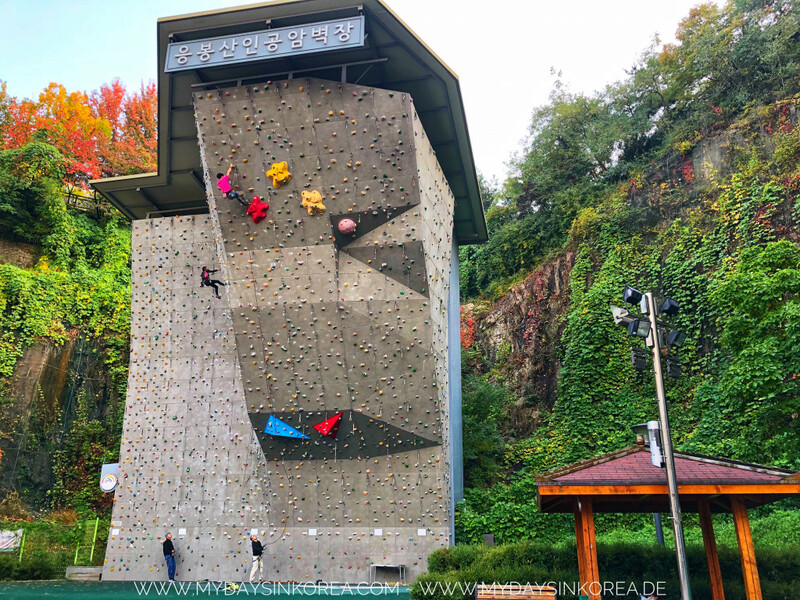 You should reach the climbing area within 5 min. walk. 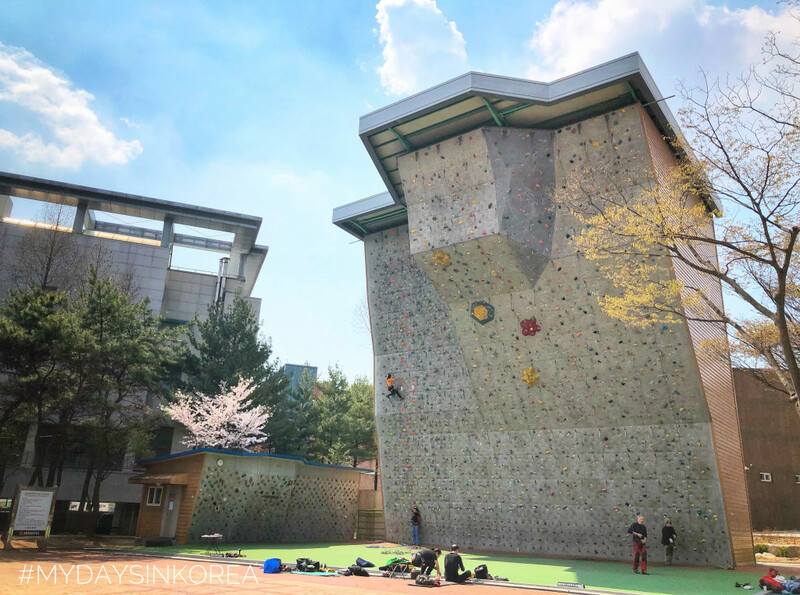 Closest bus station: Eungbongdong Hyeondae Apartment. Closest subway station: Sindaebang, Exit 4, turn right and follow the main street. You should reach the park within 10 min. walk.